You can remind SV Darmstadt 98 about their current predicament at the foot of the Bundesliga standings until you are blue in the face - it will not change a thing. The Lilies are positively blooming following a gratifying series of events that will live long in the memory for everyone involved with the club. It all began on Bundesliga Matchday 20, when Torsten Frings - whose name provided the inspiration for Breaking Bad villain Gustavo Fring, according to the writer of the hit TV series, George Mastras - led his side out against former employers Borussia Dortmund at the inimitable Jonathan-Heimes-Stadion am Böllenfallor. Few gave Darmstadt a prayer, but a gutsy and defiant performance delivered one of the scalps of the season - the Hessen outfit's first win in 11 matches no less. Terrence Boyd set the tone with his first ever Bundesliga goal following two years of injury torment at RB Leipzig, before Antonio Colak cancelled out Raphael Guerreiro's equaliser to seal a potentially season-defining win. If the Bölle had a roof, it would have been blown off. Sign Terrence Boyd to your Official Fantasy Bundesliga team right here! The mood lifted and eyes beginning to peer up from the proverbial abyss, the rock-bottom Lilies received a glowing virtual endorsement from the top - and we're not talking about Bundesliga leaders FC Bayern München. On Wednesday afternoon, at approximately 14:30CET, a local radio station discovered that, among the 631,000 Twitter accounts on former U.S. President Barack Obama's radar, there is only one European club: SV Darmstadt 98. Of course, it did not take long for the Lilies to get wind of this, and their response was pretty special. A freshly printed Obama 98 shirt in hand, USMNT international Boyd stood proudly in front of the camera with a personal message for the club's pre-eminent admirer. "We've heard that you follow us as the only European soccer club on Twitter," he said. 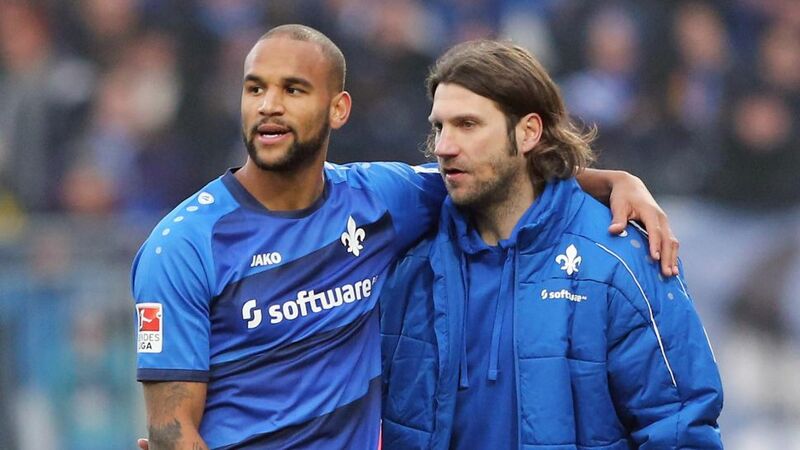 "It's a huge honour for us at Darmstadt 98. "Now that you've got a little more time for yourself we'd like to invite you to a Lilies game at the Böllenfalltor. We've got the fitting jersey for you as well. So see you at the Bölle." With Obama yet to reply, Darmstadt will have to wait before they can say 'Aloha' to the 2009 Nobel Peace Prize winner in the flesh. A positive result away to TSG 1899 Hoffenheim on Saturday afternoon should at least pique the Hawaii native's interest. It would certainly be a fitting conclusion to a joyous and unforgettable week for the endearing Bundesliga underdogs.